Montiff Tri-Phos-B: The ONLY Enteric Formula With ACTIVE B-1, B-2 and B-6! The ONLY Enteric Formula With ACTIVE B-1, B-2 and B-6! PYRIDOXAL-5-PHOSPHATE (P-5’-P–Active, Co-enzyme B-6) is the active, coenzymatic form of B-6. Most B-6 supplements are pyridoxine, which must be converted in the liver to Pyridoxal-5’-Phosphate for it to be properly utilized. Many individuals do not convert sufficient amounts of this important B vitamin for proper metabolism and functions, which can result in a B-6 deficiency and many health problems. Pyridoxal-5’-Phosphate is necessary for amino acid absorption and metabolism and is involved in the synthesis and catabolism of all protein. It is especially important in the metabolism of Tryptophan, Tyrosine, Glycine, Glutamic Acid, Cysteine, Cystine, and Methionine. Insufficient P5’P may cause abnormal metabolites such as Homocysteine (which is associated with heart attacks and strokes). Pyridoxal- 5’-Phosphate is utilized by over 60 enzymes, and it is also essential for fat and carbohydrate metabolism. 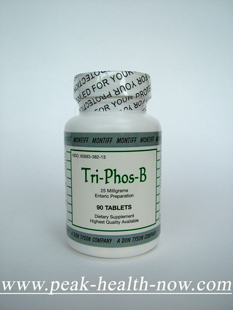 Tri-Phos-B contains 20 mg. of Pyridoxal-5’-Phosphate. • Numbness and tingling of limbs, depression, nervousness, cracks around mouth and eyes, water retention, fatigue. Headache, nausea, acne, and inflammation of the gums are also symptoms. • Low levels of P-5-P have also been noted with low plasma levels of Tyrosine and Tryptophan, which correlate to deficiencies in serotonin and catecholamine neurotransmitters. These are associated with depression, anxiety, stress and sleep deprivation. • Cigarette smoking, alcohol and many drugs, such as antibiotics and birth control pills, can cause a B-6 deficiency. • Carpal tunnel syndrome is also associated with a B-6 deficiency. • P-5-P deficiencies have been noted in those whose seizures, which are associated with hyperprolinemia type II. The research reported that these seizures may be preventable with long term supplementation. • Elderly people tend to be deficient in P-5’-P.
• Pregnant women are generally deficient and supplementation may decrease morning sickness. • Deficiency may cause in decrease of mineral absorption and utilization, including Calcium. RIBOFLAVIN- 5-PHOSPHATE (Co-enzyme form of B-2) is the active form of B-2, which is essential for ATP production and energy metabolism, maintenance of the nervous system, carbohydrate metabolism, and is involved in Glutathione synthesis. Riboflavin is also important maintaining healthy eye tissue, skin, mucous membranes and fetal growth and development. It also converts B-6 and folic acid into their coenzymatic forms. Riboflavin is found in milk, eggs, lean meat and broccoli, as well as and enriched breads and cereals. Since Riboflavin is destroyed by light, milk purchased in plastic jugs has decreased amounts of Riboflavin. Tri-Phos-B enteric preparation contains 3mg. of Riboflavin- 5’- Phosphate per tablet. • Fissures around mouth, nose and ears, as well as eye irritation and photophobia. • Older people tend to have Riboflavin deficiencies. • Deficiencies in Riboflavin cause Glutathione deficiencies, leading to increased incidence of cataracts. • Since Riboflavin helps convert Pyridoxine to the active Pyridoxal 5’Phosphate, a deficiency of Riboflavin may cause a deficiency of P-5”P. This could result in amino acid and neurotransmitter imbalances and deficiencies. • May help prevent Glaucoma, and is recommended along with Pyridoxal-5’-Phosphate, Thiamine, Vitamin C, Vitamin E and Alpha Lipoic Acid for eye care. • Migraines. Dr. M. Lenaerts, U. of Oklahoma has noted that those with reoccurring migraines had fewer and less severe migraine headaches when supplemented with Riboflavin. • Athletes- Requirements for Riboflavin as well as B1 and B6 are increased due to strenuous activities. THIAMINE- 5-PHOSPHATE (Co-enzyme form of B-1) Thiamine is essential for almost every cellular reaction in the body and is necessary for proper development and growth. 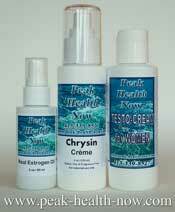 It is important for healthy skin and hair, as well as blood production, immune function, and metabolism of alcohol. In addition it is especially important for cardiovascular health, proper nerve function and the synthesis of the neurotransmitter, acetylcholine, which is involved in memory and other brain function. Cognitive dysfunction is often associated with a deficiency, as well as lack of appetite. Many older people are deficient in this B vitamin, as well. It is not stored in great amounts in the body and must be obtained daily from the diet or supplementation. Some of the food sources of Thiamine are: pork, organ meats, brewer’s yeast, oatmeal, grains, poultry, nuts, avocado, thiamine enriched flour and cereal, and some vegetables such as spinach and cauliflower. Heat easily destroys Thiamine and a considerable amount is lost in the cooking process of the foods, including in the water of cooked vegetables. 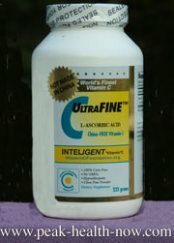 Sulfate food (such as too much cabbage, broccoli, etc.) destroys B1. Alcohol reduces the absorption of Thiamine. Each Tri-Phos-B contains 2 mg. of the coenzymatic form of Thiamine. • Beriberi –Dry Beriberi (symptomatic of severe muscle wasting) and Wet Beriberi (in which edema is present). • Brain and nervous systems are effected. Some symptoms are poor memory and confusion, irritability, depression and inability to concentrate with a reduced attention span. • Tingling and numbing of the extremities, as well as painful calf muscles. • Cardiovascular – The heart requires Thiamine and a deficiency may exhibit in symptoms such as cardiac failure, ankle swelling, fatigue and heart enlargement. • Alcohol Related. Since alcohol reduces absorption, alcoholics and binge drinkers are prone to thiamine deficiency, resulting in mental confusion and lack of balance in walking, referred to as a staggering gait. Permanent brain damage may occur if the deficiency is not addressed. This condition is known as Wernicke Korsakoff Syndrome. • Athletes with strenuous activities require additional Thiamine, and when supplemented have less fatigue and more energy. Physical activity also increases the requirements for B-2 and B-6. • Mimori, Katsuoka et al, “Thiamine Therapy in Alzheimer’s Disease”, Metab. Brain Dis., March 1996. • Wilkinson, Hanger et al, “The Response to Treatment of Subclinical Thiamine Deficiency In the Elderly”, Am. J. Nut. , Oct. 1997. • Benton, Griffiths, Haller, “Thiamine Supplementation and Mood and Cognitive Functioning”, Psychoparmacology, January 1997. • Robinson et al, “Hyperhomocysteinemia & Low P-5-P. Common & Ind. Reversible Risk Fact. For Coronary Art. Dis.”, Circulation. , 1995. • Klutsky R, J. PhD, Handbook of Vitamins and Hormones, Van Norstrand Reinhold, Co., 1973. • Balch,J MD, Balch P CNC, Prescription for Nutritional Healing, Avery Publishing, 1997. • Bailey, Maisey et al, “Relationshp. Betw. Micronut. Intak, & Biochem. Inc. of Nut. Adeq. In “Free Liv.” Eld. UK Popula., Br. J.Nut., 1997. • Farrant, Mills et al, “Pyri. Phosph. De-Activa. of Pyrroline-5-Carbox. Acid. Inc Risk of B6 Def. & Siez. In Hyperp. Typ II, J Biol Chem.2001. • Gloria, Cravo et al, “Nut. Def. In Chronic in Chronic Alcoholics: Relationship To Dietary Intake & Alc. Consump.” Am J. Gastro. 3-97. • Manore, MM, Ariz. State Univ. , ”Effect of Physical Activity on Thiamine, Riboflavin, & B-6 Requirements”, Am. J. Clin. Nut., 8-2000.